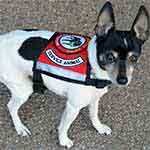 Registering your service or emotional support animal (ESA) is easy! 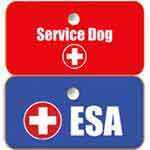 Once you've decided which service type your animal qualifies for (click here for help with that decision), simply choose any of the registration buttons or links sprinkled across our website (or you can click one the two links below). 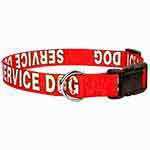 Both service types (service dog and emotional support animal) offer three bundled kits so you can order a kit with just the identifying accessories you want and none of the items you DON'T want. 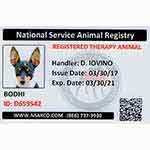 All NSAR registration kits include professional ID cards, frameable registration certificate, patches, and inclusion in the National Service Animal Registry online database. 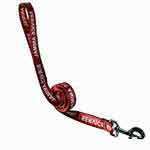 The Deluxe and Premium Registration Kits are the best value and offer the greatest savings. Just select the kit that is best for you, tell us your name, your animal's name, and a couple of other pieces of information, then checkout and complete your order. The other way to order is to call us toll-free at (866) 737-3930 and let one of our friendly experts help you place an order over the phone. 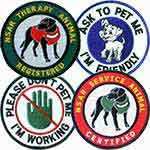 It's also very easy to send us an image of your service dog or emotional support animal. Click here for photo tips. Once you've placed your order, you'll be taken to a confirmation page that has a place for you to upload a picture right from your computer or cell phone.